Why doesn't the AI use all of their troops? Sometimes, I will win a game only killing 15-20 enemy troops. 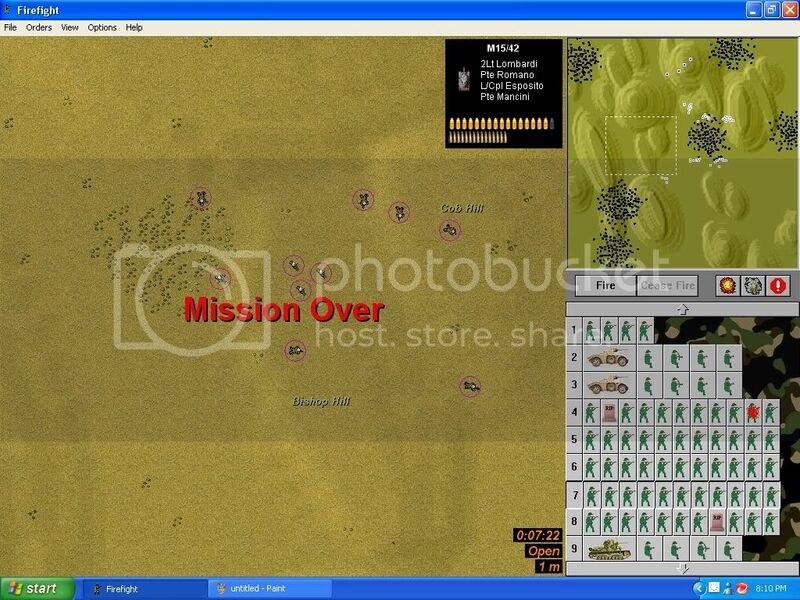 Then I look around the map, and they have another 15 troops clustered in different spots. Why don't they ever counter attack? They watch, and protect a spot. 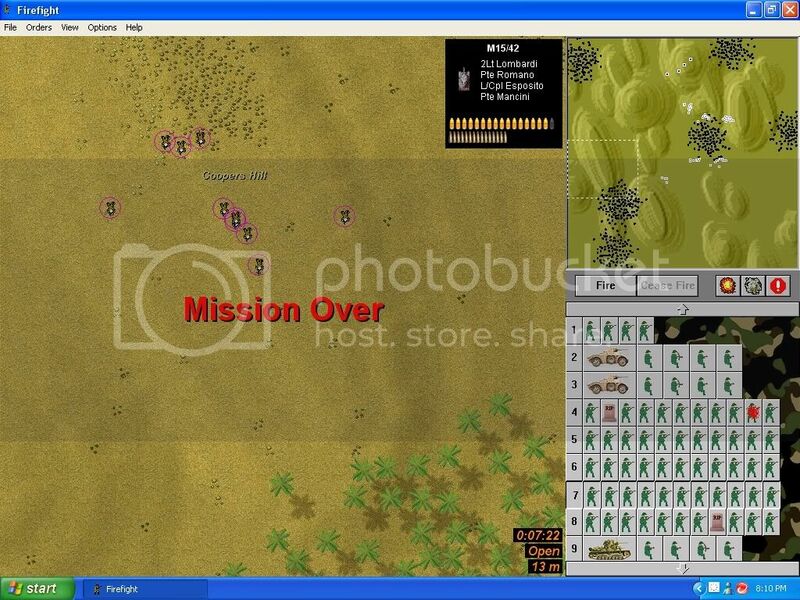 But normaly, when AI see that the main attack is launched, all unused ennemy troop came in reinforcement. In all of the games I have played, the enemy forces have NEVER tried to retake the objective. I have two theories. One is that the AI will have their troops that actually "see" your troops, but that were never in range to fire at them, pull back to the obj once you have bypassed them, but leaving troops that were "over the hill" and out of sight of the assault to remain where they are. The second is somewhat related, as that perhaps it is possible that the enemy troops that are out of radio contact with their HQ cannot then be recalled from their position. I find playing "lowlands" missions often gets the greatest movement of enemy troops "falling back" to their HQ, and forests/Hilly often the least. Destruction of the ennemy's HQ didn't make us win? This is what I'm talking about. These are both from the same game. Yeah, I've had that happen. I suspect that like I said, it's somehow terrain related, either to the radio contact thing (they couldn't receive orders to paull back), or the line of sight thing (they were too far away or badly positioned to see your troops move to their rear). I notice that the squad highlighted in your first image, the one closest to the fighting and their HQ, does in fact look like they are moving towards their HQ, and if the game ran for another couple minutes, I'm sure you'd have started to receive fire from them. I agree with the whole loss of radio contact thing, but i also think that in a defensive mission it could be something like that unit is tasked to defend that area or flank and even though they see your guys, they don't want to fall back because you could have sent a flanking squad and they would have just let it through their lines without a fight. It can be better if AI units don't need radio contact. I disagree. Same rules applying to both the player and the AI ('The AI does not cheat.') is a definite strong point of Sean's games. In compromise I'd much prefer additions to both enemy and friendly AI, like squads under certain circumstances (current destination reached and out of radio contact for an extended period of time, for example) would send a runner out to the HQ to reestablish contact. Of course the most elegant solution would be if the enemy AI could look out for the sitation a little better and not let large portions of the force lose radio contact in the first place, but that's far easier said than done, I'm convinced. Ditto on non-cheating AI. It's harder to program a challenging AI that doesn't cheat, but much more rewarding for everyone involved. To be honest, if I was commanding either of the enemy squads in the above example, I wouldn't be counterattacking either. A force at least twice my strength, supported by four armoured vehicles, has just blitzed round my left flank and you want me to do what !!? I'd be lying doggo too, hoping not to be noticed. Nothing here but us sand dunes, mate. Honest. IF <10 or 15 minutes> AND <no enemy seen> THEN <fall back on obj>. Also, when more than half a force has been banjoed, Firefight troops seem to lose their offensive tendencies anyway.